Examples of Dr. Lin’s significant contributions to weather and climate include leading the development of a dynamical core, Finite-Volume Cubed-Sphere (FV3), which is the basis of all of GFDL’s climate models. In addition, the National Weather Service’s operational Next Generation Global Prediction System will be based on FV3. Many other climate modeling labs around the world use FV3 as the dynamical core that drives their climate models. It has proven capable of accurately predicting individual hurricanes as well as hurricane seasons, and is capable even of forecasting individual severe storms, such as those that spawn tornadoes. FV3 is helping to unify regional and global models for both weather and climate applications. 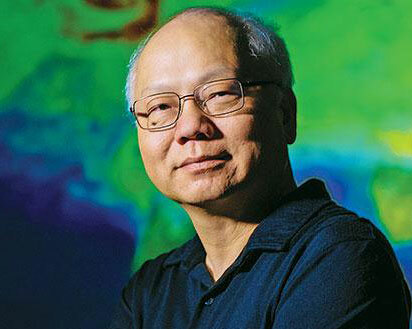 Dr. Lin was a research scientist with NASA’s Goddard Space Flight Center prior to 2003, when he joined GFDL. He holds a Master of Science in Aerospace and Mechanical Engineering from the University of Oklahoma and a Ph.D. in Atmospheric Science from Princeton University. 2018 AMS Fellows who will be recognized formally at the next annual meeting in January 2018 in Austin, Texas.